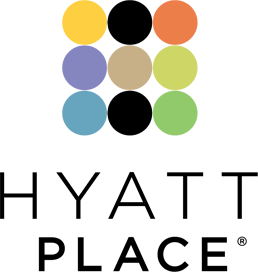 Hyatt Place Sterling / Dulles Airport-North offers a prime location near Dulles International Airport and other key destinations like Dulles Town Center, yet inside, it offers so much more. 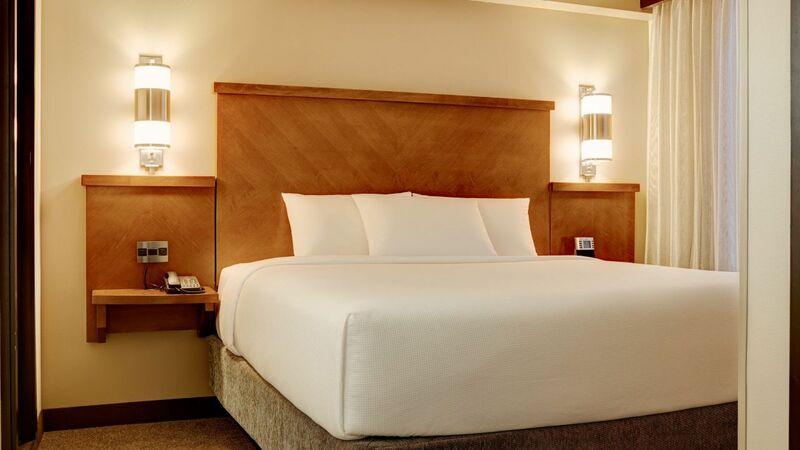 Each of our 134 roomy rooms has been renovated for your maximum comfort. 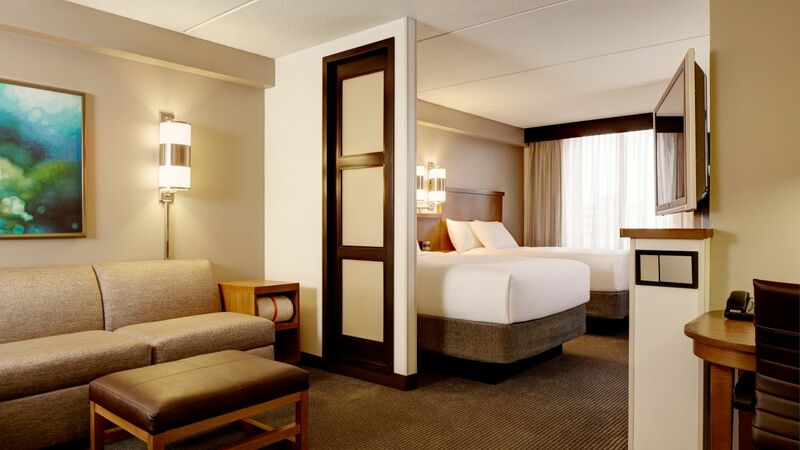 Stretch out in the separate sleeping area; kick back in your Cozy Corner with sofa-sleeper; and bask in the perks like the 42” flat-screen HDTV, plush Hyatt Grand Bed™, granite bath, and other touches that make you feel right at home. 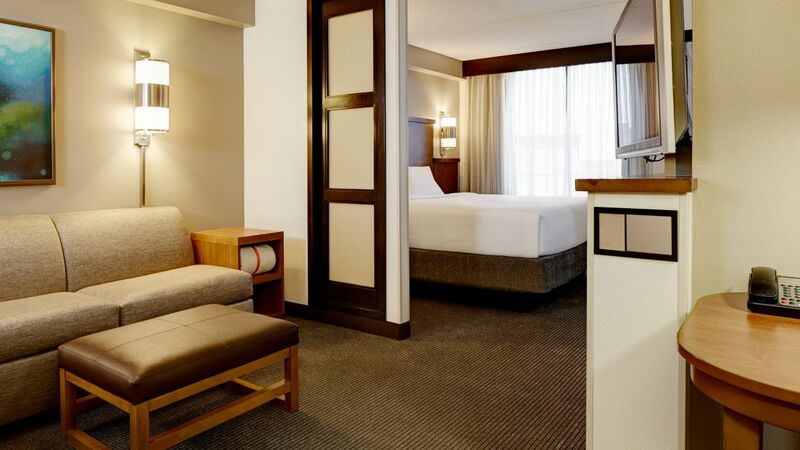 Relax in this modern 405-square-foot guestroom, with one king Hyatt Grand Bed™, Cozy Corner with sofa-sleeper, work desk, wet bar, and contemporary décor. This 405-square-foot room features separate sleeping and sitting areas, hi-tech amenities, two plush double beds, a work desk, wet bar, and modern décor. Stay in a 405-square-foot guestroom that’s a step above, featuring a comfy king bed, work desk, modern décor, and Cozy Corner with sofa-sleeper. Elevate your experience by staying in one of these rooms, outfitted with two queen beds, a Cozy Corner with sofa-sleeper, and modern décor amid 405 square feet. This 405-square-foot guestroom is outfitted with an accessible tub and a host of ADA-compliant features. Enjoy one king bed and the Cozy Corner with sofa-sleeper. Unwind within this king-bedded accessible room, featuring a roll-in shower, ADA-compliant features, and a Cozy Corner with sofa-sleeper amid 405 square feet.